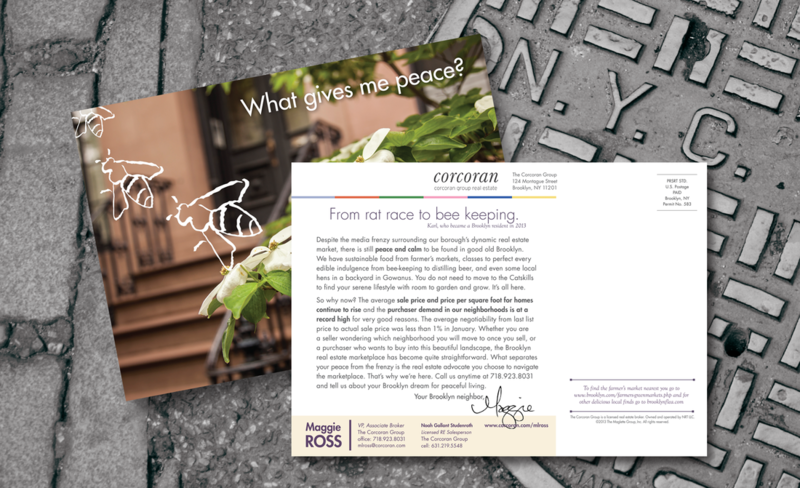 Create an ownable postcard campaign for a Brooklyn broker Maggie Ross. Brooklyn has become the “in” place to buy. With that fierce competition, we wanted to convey that Maggie could deliver because she actually lives in Brooklyn and embraces the quality of life that it offers. 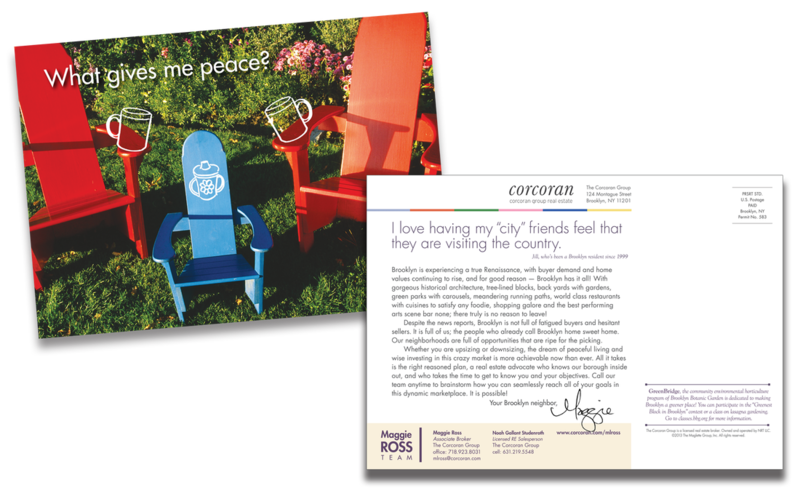 A successful mail campaign that was carried over to e-mail blasts. My client, Maggie Ross, got the attention — and more million dollar sales — that she deserves. 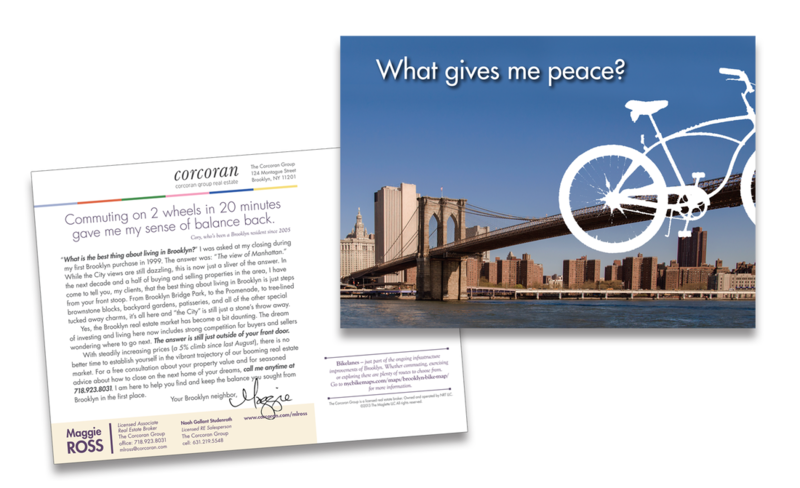 Not to mention, some Brooklynites were collecting the postcards!